The crankshaft is almost finished! It is not perfect, and I am considering making another one. 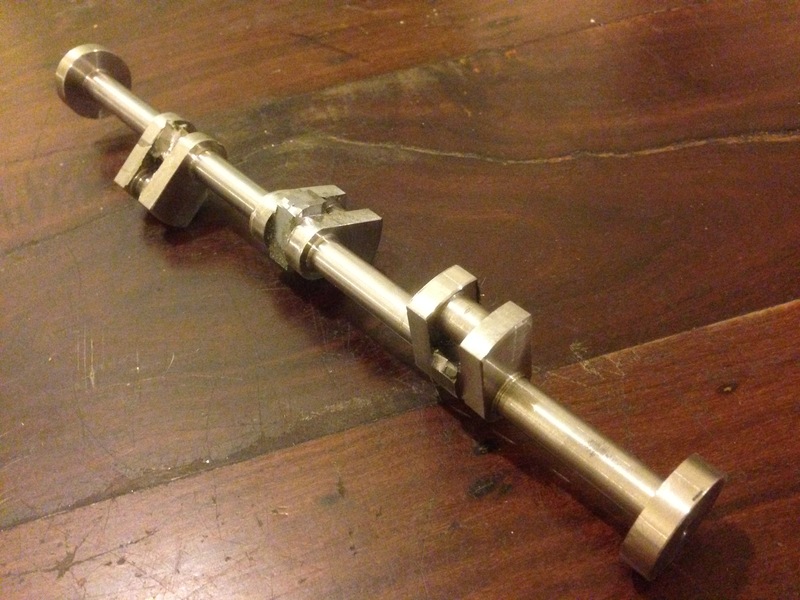 But for a first effort (at a crankshaft machined from solid), it is not too bad. Actually, it was the second effort. The first one was binned due to a 3mm eror. I made the job much more difficult by using stainless steel as the material. Stainless is hard, and must be machined with carbide tooling. Problems with chatter and tools blunting. The big ends needed thin tools with a lot of overhang. After my initial unsuccessful effort, a friend suggested the use of a Gibraltar toolpost, which certainly reduced the chatter. (thanks David M). Turning the big end bearings, using a carbide parting tool held in “Gibraltar” tool post. Actually, it is an “Uluru” toolpost. Whatever the name, it worked better than the normal quick change toolpost on my lathe. 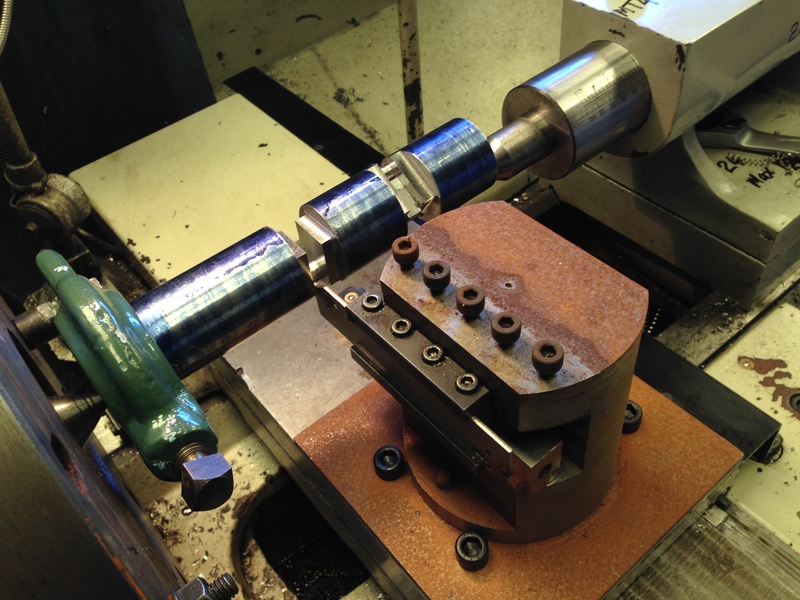 After an estimated further 12 hours of turning and milling, the crankshaft is almost finished. 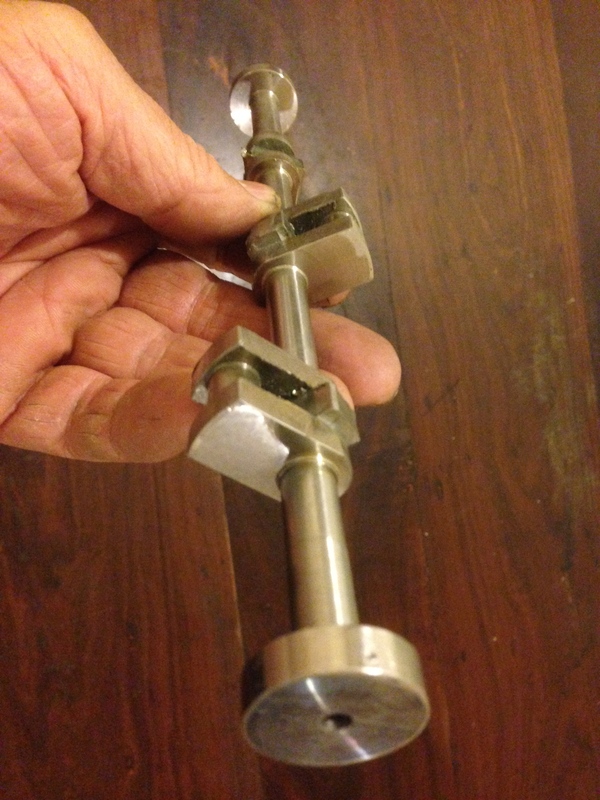 The support blocks glued with Loctite to support the main shaft, are still in place. A human hand for scale. Refer back to the original photos to see the lump of 50.8,, diameter stainless steel to see how much material has been removed, leaving the crankshaft. I have a large amount of razor wire to dispose of, and many cuts on my hands and face. This is mongrel material to machine and I hope to never use it again. At least my crankshaft should not rust.